David Goldenberg is a Head and Neck Surgical Oncologist. He was educated at the Ben Gurion University in Israel. He completed a residency in Otolaryngology-Head and Neck Surgery at Rambam Medical Center in Haifa, Israel and then went on to do a three year fellowship in Head and Neck Surgery and Oncology at the Johns Hopkins Hospital in Baltimore. 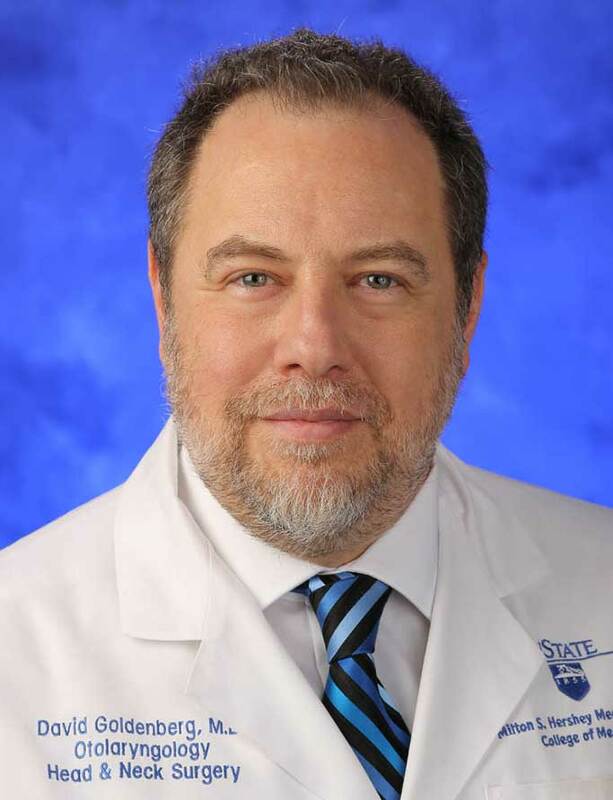 Currently a Professor of both Surgery and Oncology at the Penn State College of Medicine, he serves as the director of Head and Neck Surgery at the Penn State Hershey Medical Center and director of the Head and Neck Cancer Team at the Penn State Cancer Institute in Hershey, PA. He combines a surgical practice with teaching and research in head and neck and thyroid malignancies. Clinical expertise is in the surgical care of patients with head and neck cancer, thyroid cancer as well as parathyroid disease. Dr. Goldenberg is the only head and neck surgeon in the region performing TransOral Robotic Surgery (TORS) using Flex robotic system and Minimally invasive radioguided parathyroidectomy (MIRP). Research - Dr. Goldenberg is an NIH funded researcher and a prolific author of articles and books in the field of head and neck and thyroid oncology and surgery.